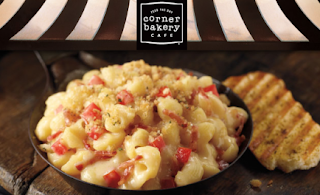 Corner Bakery Cafe: FREE Bacon Tomato Mac & Three Cheese! Head over to the Corner Stone Bakery site and reserve a time and location to score a free serving of their Bacon Tomato Mac & Three Cheese! Just show up and enjoy!